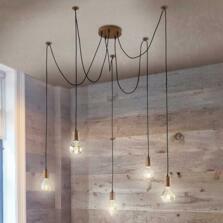 On trend vintage lighting gives a lovely warm soft subdued glow to rooms and spaces. Interesting features can be created by mixing and matching different shape vintage lamps. Showing 1 to 2 of 2 products in Vintage Lamps & Lighting.